TL;DR Easter is just around the corner. Here are some statistics on how consumers interact with Facebook during this time and how it can help you to target potential consumers. People around the world celebrate in diverse ways, from religious reasons to using the holiday as an opportunity to gorge on chocolate. Regardless of how this holiday is celebrated around the world how users use Facebook to communicate with friends and family will help you to better target your ads. In a study by Statista, food followed by clothing were the products that consumers spent the most on with an average of $55.15 and $54.98 respectively. 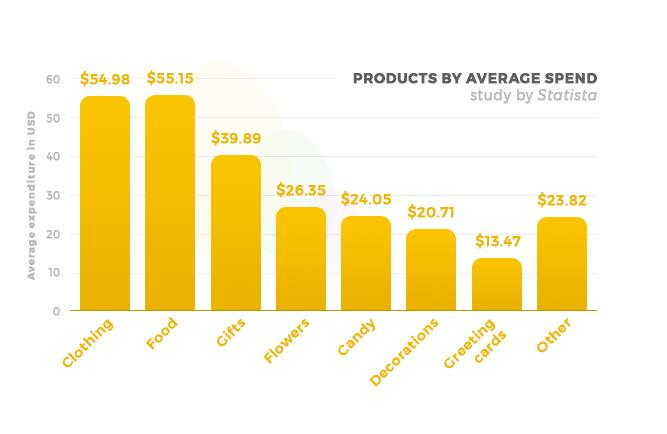 Candy, which is normally associated with this holiday came in at an average spend of $24.05. What this means for marketers who don’t usually carry candy in their line of products, is that there is still an opportunity to reach consumers with Easter-themed ads for another group of products. 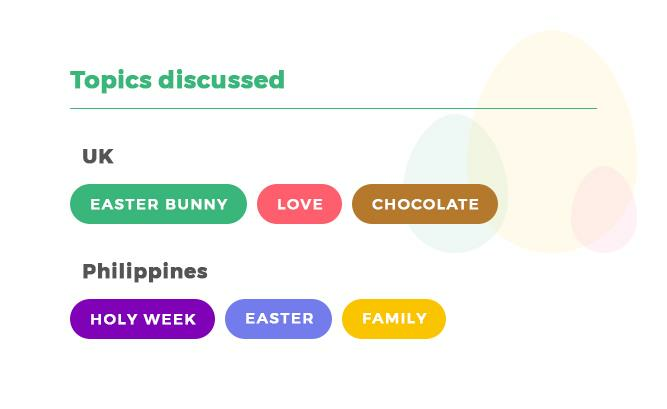 In contrast to other countries where Easter is also highly celebrated such as the Philippines, the majority of posts (70%) were from users under the age of 35. And their topic of discussion was based on the Holy Week leading up to Easter and family. Argentina also followed a similar trend but with more check-ins at church for the Holiday. If you want to reach consumers in Australia, the UK, and the US, then target women aged between 25 and 44 with less religious-themed topics. Instead, use messages of love and traditions celebrated in those areas such as the Easter bunny and spending time with the family. 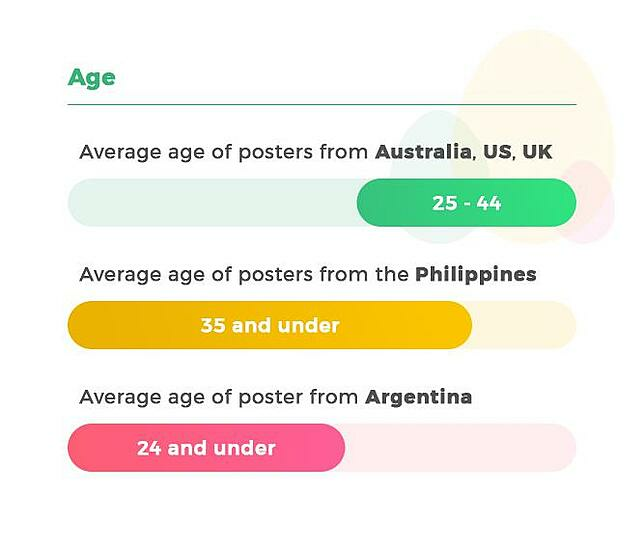 In countries such as the Philippines and Argentina, then it would be useful to target younger consumers, asking them to check-in at your offline locations if you have them and use messages associated with the family. Images of the Easter bunny would not be useful in this case. ROI Hunter’s template editor also has templates that our clients can use to advertise. Check it out by logging in here or sign-up for ROI Hunter here. If you want to reach consumers in Australia, the UK, and the US, then target women aged between 25 and 44 with less religious-themed topics. 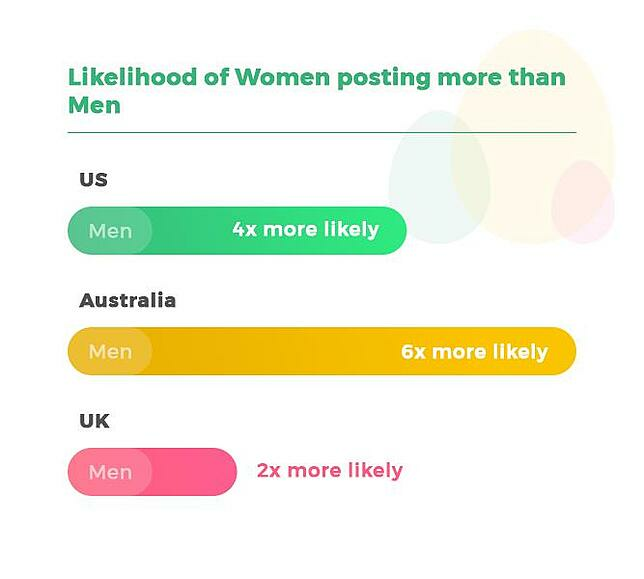 In the US, Australia and the UK, women are more likely to share more posts during this time. In the US it was 4X more than men, Australia 6X more and the UK 2X more.